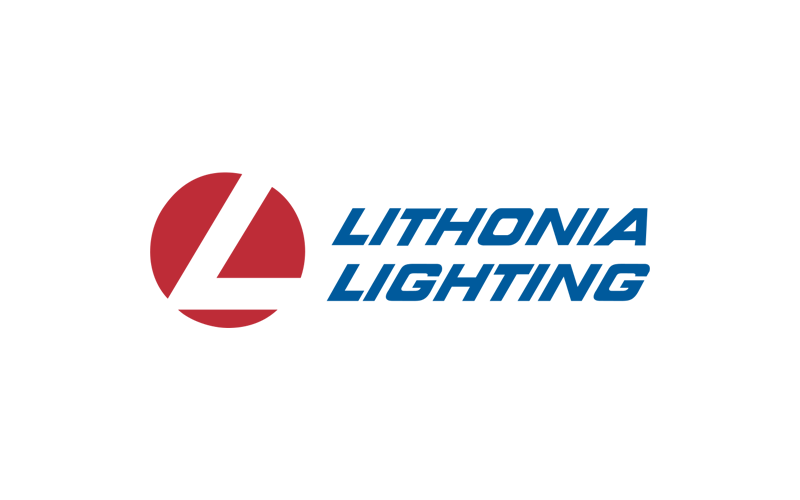 The new nLightAIR works with luminaires equipped with Acuity LED drivers, allowing users to program lighting schemes in commercial buildings. 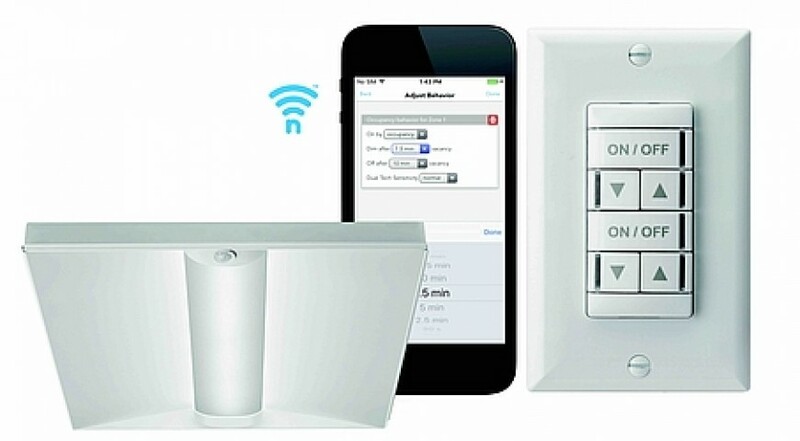 Acuity Brands has extended its nLight digital lighting control system with a kit that adds wireless control capabilities. The new nLightAIR platform includes luminaires equipped with Acuity eldoLED LED drivers, a battery powered wall switch and an app called Clairity. 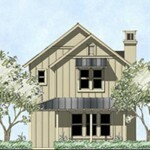 The kit is available across different Acuity lines, including Lithonia and Peerless. It includes sensors that detect motion, daylight and temperature. The Clairity app lets users set responses to different occupancy and daylight conditions, and to program in lighting sequences. It works on both Apple IoS7 and Google Android devices. 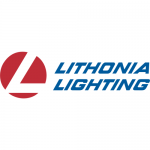 Interested in articles & announcements on LED lighting controls? 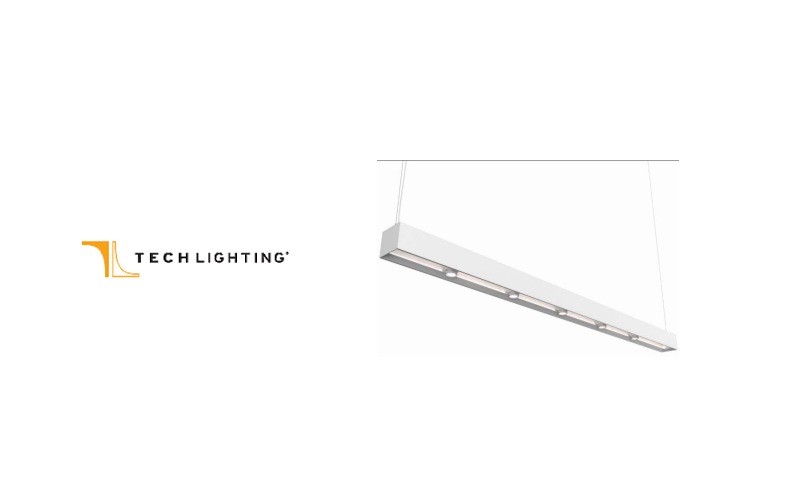 “nLight Air is especially suited for spaces where wiring is cost prohibitive, or for retrofits where running new wires can be difficult or complex,” the Atlanta-based LED lighting supplier said. The system includes two different radio channels, one at 900 MHz and the other being Bluetooth Low Energy (BLE), a 2.4-GHz communication technology. 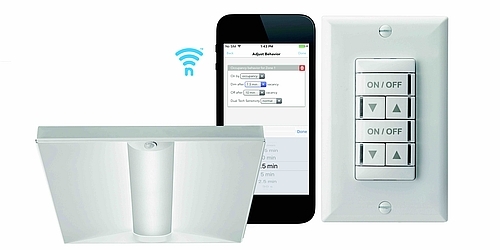 Acuity’s nLightAIR digital lighting controls work with both Apple IoS and Google Android devices. The luminaires are powered by a building’s existing wiring. Industry observers view such wireless controls as an alternative to Power over Ethernet (PoE) lighting, a wired system that offers a rich set of features but which tends to make financial sense in new construction or major rip-out retrofit projects rather than as an upgrade to existing systems which require extensive rewiring. PoE runs both electricity as well as data over the same Ethernet cable, rather than over standard electrical wiring which requires costly electricians. 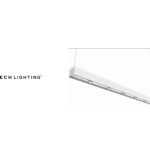 PoE can control light on/off switching, brightness, color, and color temperature, and can also play a big role in schemes where sensor-equipped luminaires collect data. Back on the wireless front, in addition to nLightAIR, Acuity has been active in other wireless lighting and data technologies as well. For example, it bought visible light communication (VLC) specialist ByteLight in April 2015. VLC embeds information in flickering lightwaves emitted by LEDs, and transmits to users’ smartphones and computers. US retail giant Target is experimenting with VLC as a possible means for engaging with in-store shoppers, guiding them to discounts. Acuity last summer announced a major deal to supply LED lighting to Target, although neither party will confirm that Acuity is involved in the VLC trials. Other lighting vendors like Philips have announced VLC trials. VLC is also the technology behind Li-Fi, which some experts believe will supplement Wi-Fi for wireless internet access.